Everbody Dance! 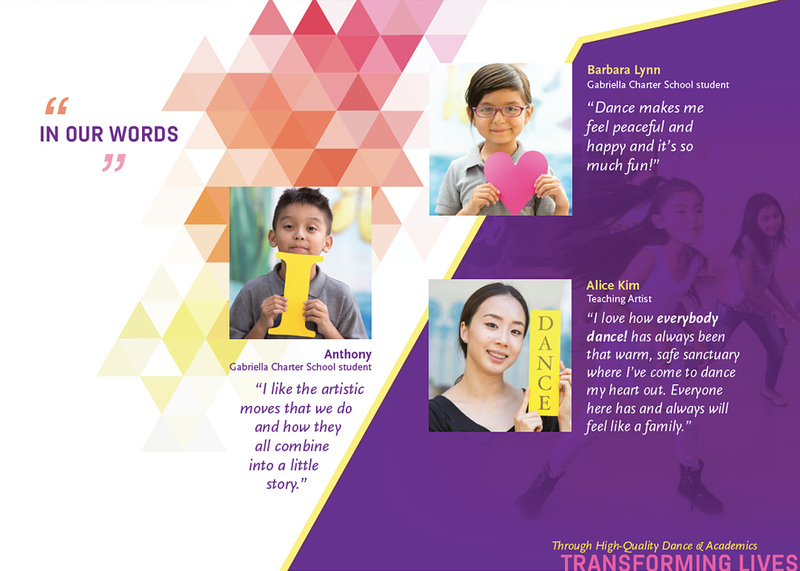 is a nationally-recognized arts education program making huge transformative waves in Los Angeles. They looked to Ripe to develop a branded voice that is born out of the spirit and fearlessness of their students. 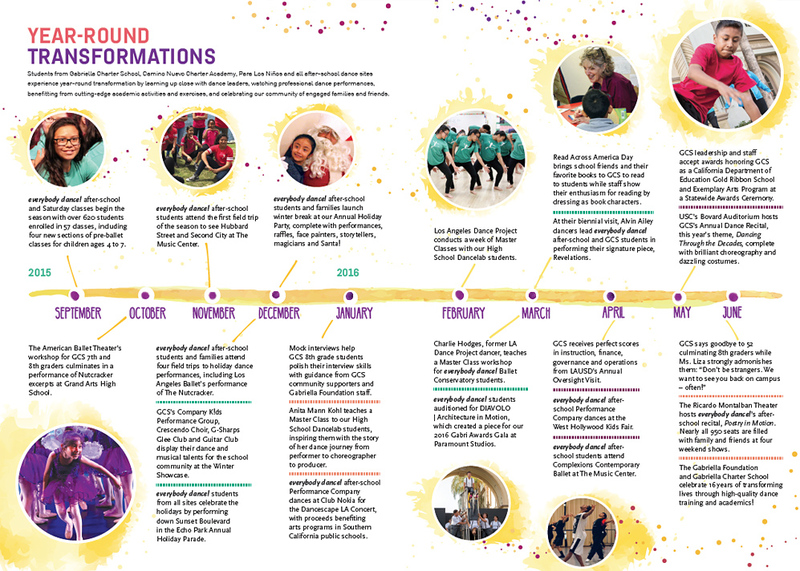 After 18 years of service, the nonprofit was ready to evolve to the next level and needed credible collateral to get them there. 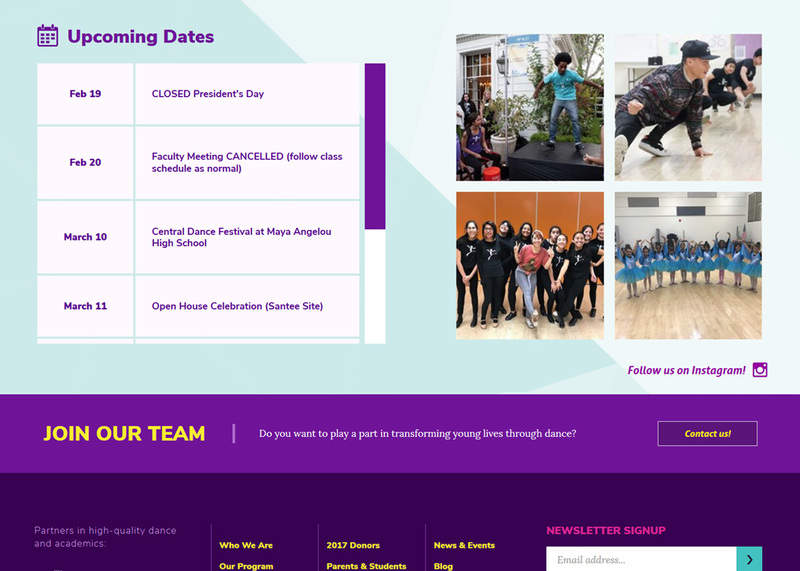 Ripe created a nonprofit branding identity system that positioned them to message and connect with a larger pool of donors, partners, teaching artists, schools and families. 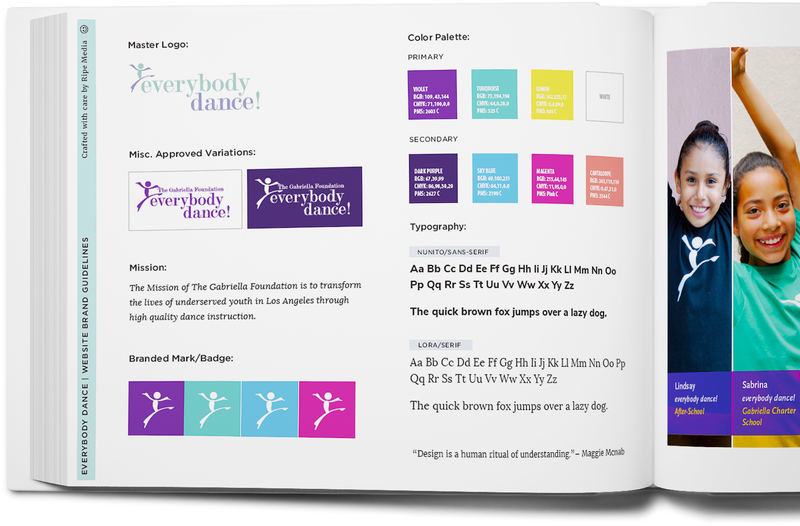 Ripe has always been a big believer in Everybody Dance and the Gabriella Foundation. It’s truly a transformative educational model that’s now smartly positioned to speak to the world. Ripe developed a marketing plan to attract new donors, retain legacy donors, and encourage alumni involvement with the foundation. The plan specified marketing and communication tactics as well as created several campaigns to lead up to the big launch. 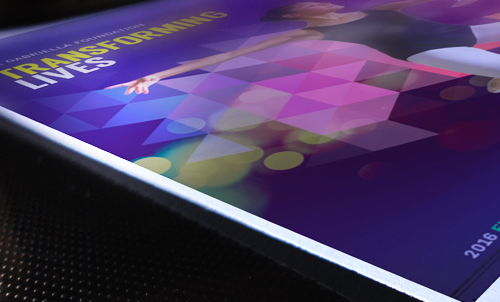 As a result of Ripe’s work, Everybody Dance’s social media activity, email marketing engagement and website traffic have continually increased. The Annual Report was the maiden voyage for the new branding. 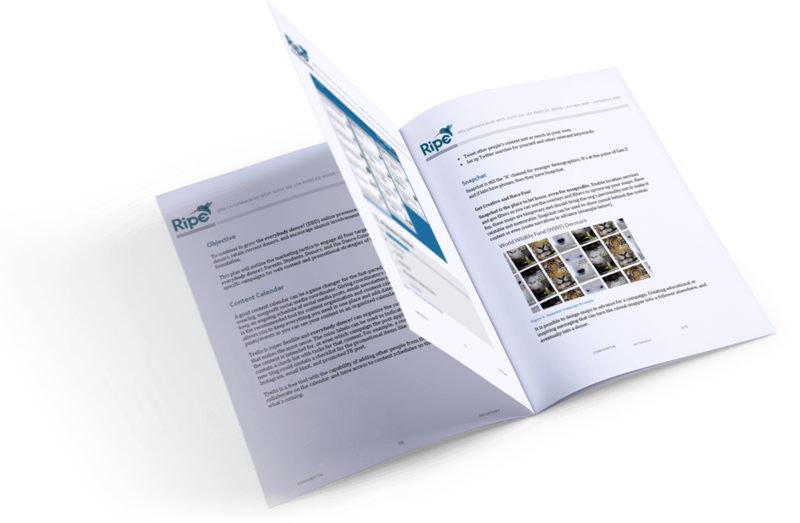 Ripe provided photography, content strategy, concept development, design, project management and all around consulting services. This donor communication piece was the first the org had ever produced and it resulted in a 20% increase in donations.